(CBS) This story was originally published on April 18, 2010. It was updated on Aug. 13, 2010. Only a handful of people have won an Oscar, an Emmy and a Tony Award for Best Actor. 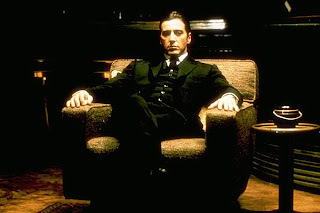 The combustible, gritty, larger-than-life Al Pacino is on that short list. He's 70 years old and has been nominated for another Emmy Award for his role in an HBO movie playing Dr. Jack Kevorkian, the crusader for assisted suicide. It's one of Pacino's meatiest roles in years. Though he's made a living in front of the camera, he's notoriously private. But, as he told us last spring, at this point in his life and career, with a movie he's proud of, he decided it was a good time to talk about himself and his most important roles, including the one that made Al Pacino "Michael Corleone" in "The Godfather."